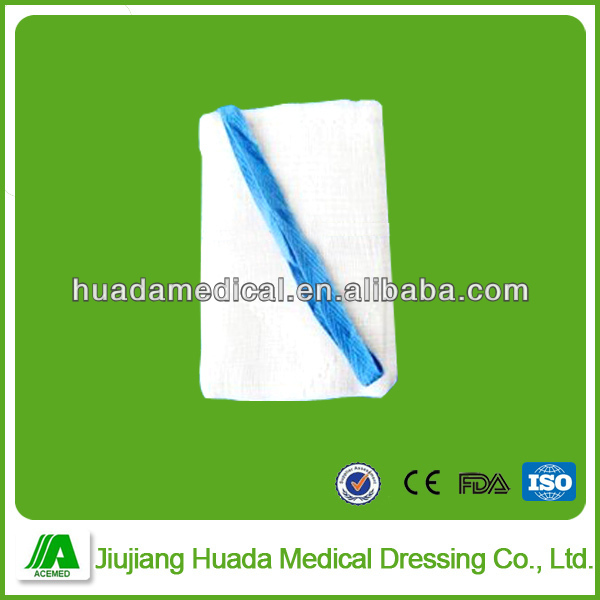 Lap sponge are offered to O.R team for absorbing blood and exudates or for cleaning wound. 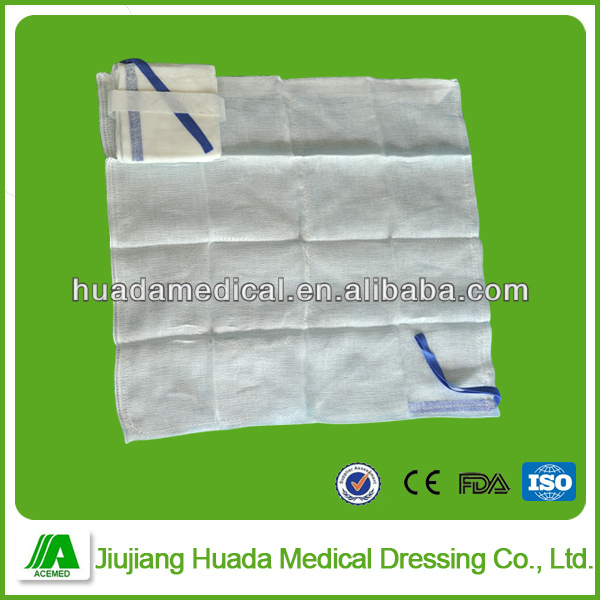 It can prevent the wound from being effect. 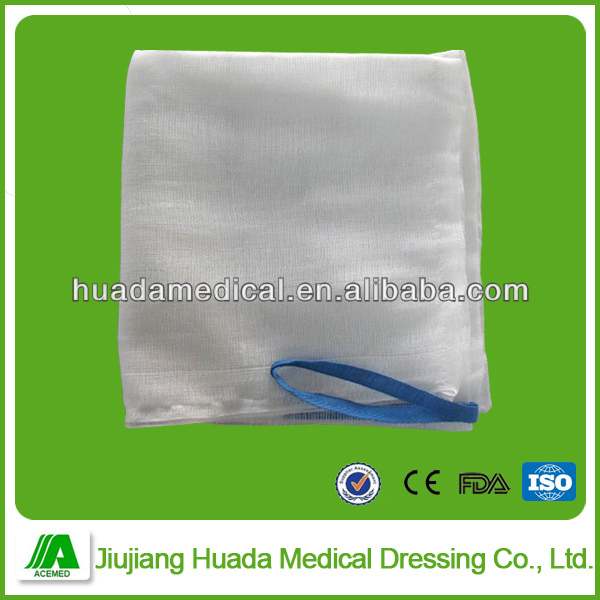 Our laparotomy sponges are sewn and cross-stitched. 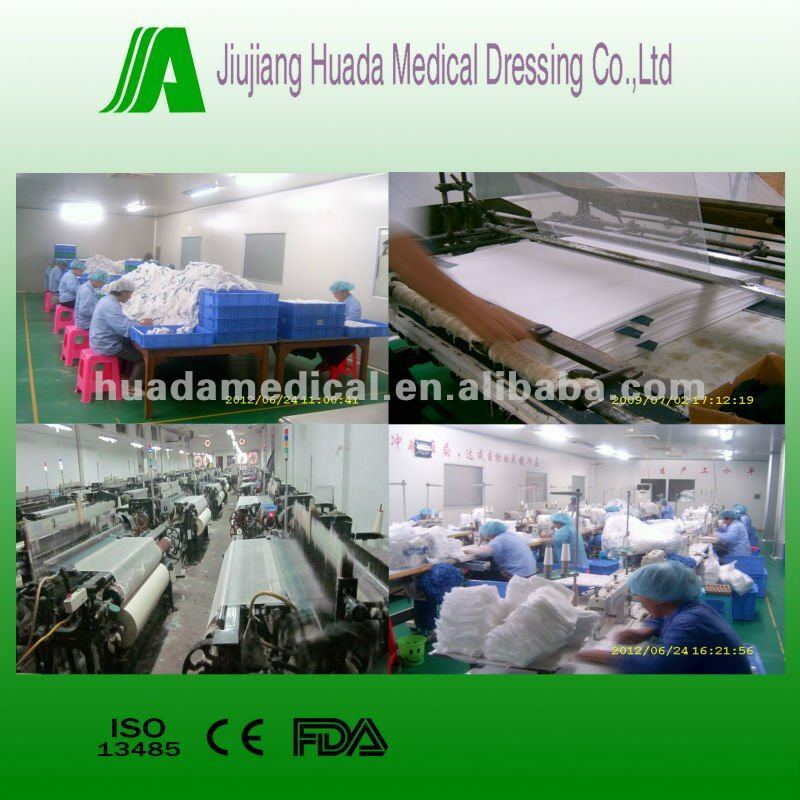 The producing process is in one million step purified workshop. 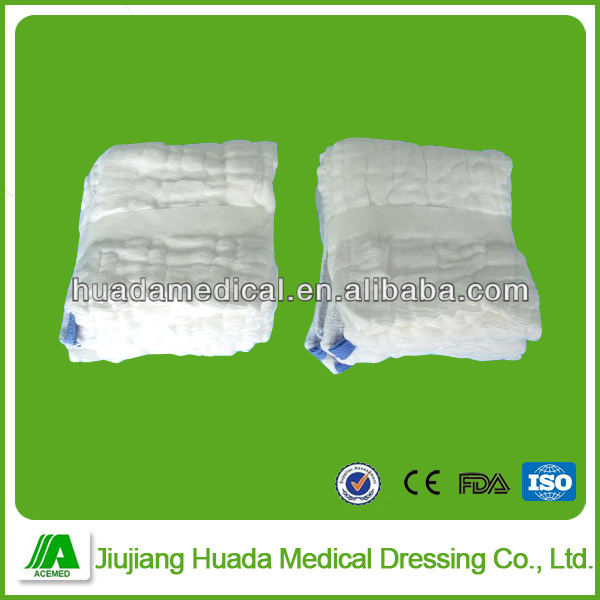 12.Conform to international standard:BP and USP. 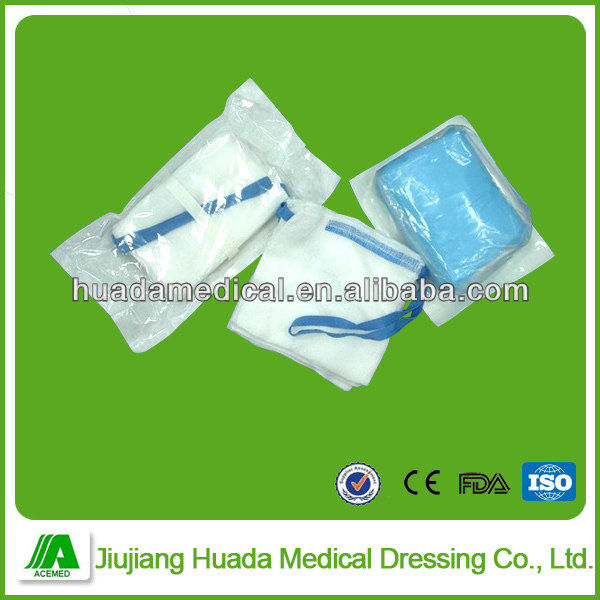 HUADA ® Medical China is one of leading manufacturer for medical disposable accessories in South China. 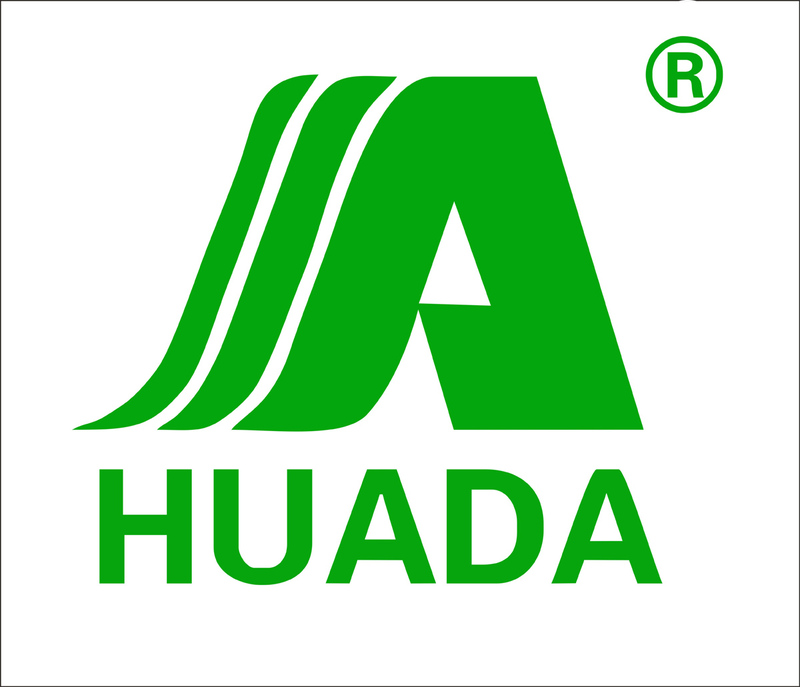 Since established in 2003, HUADA ® keeps offer the wide array of product development, technical support, professional capability of production, continuously customer service to customers in worldwide. 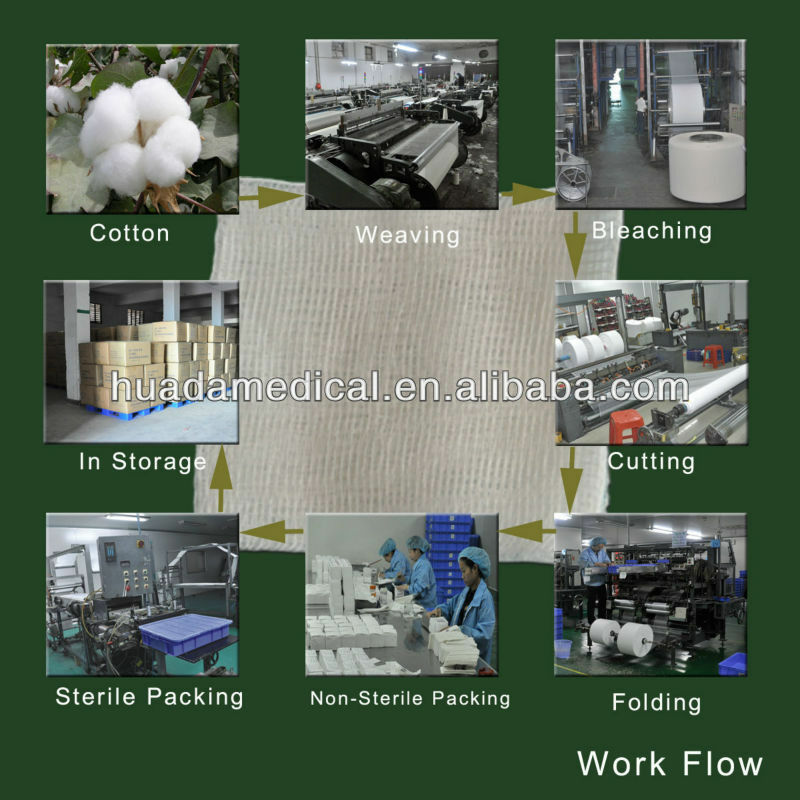 With more than 10 years developments, HUADA ® team are focus on manufacturing and exporting Gauze products series, Dental series, Bandage series, Non-woven series and Medical packaging series. 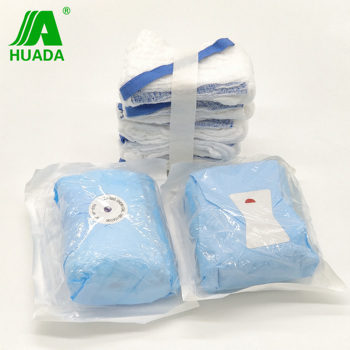 Providing qualified and satisfied medical accessories to realize “LIFE IS SO BEAUTIFUL” is mission of our HUADA ®. 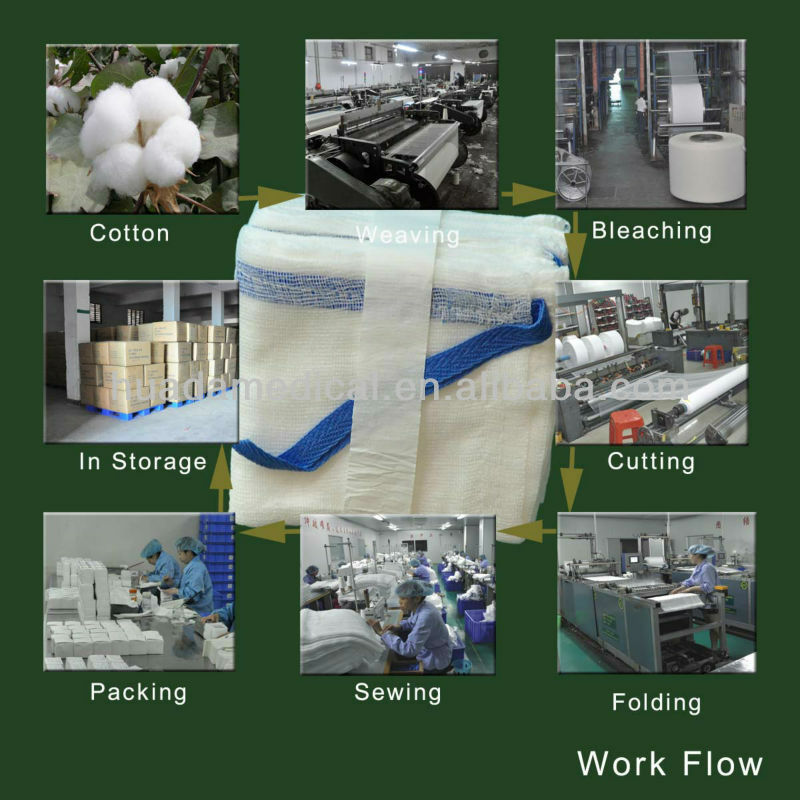 Under ISO quality control system, all of our processes from raw material incoming, raw cotton bleaching, on-going quality inspection, quality assurance are controlled strictly and retrospection in periodically. 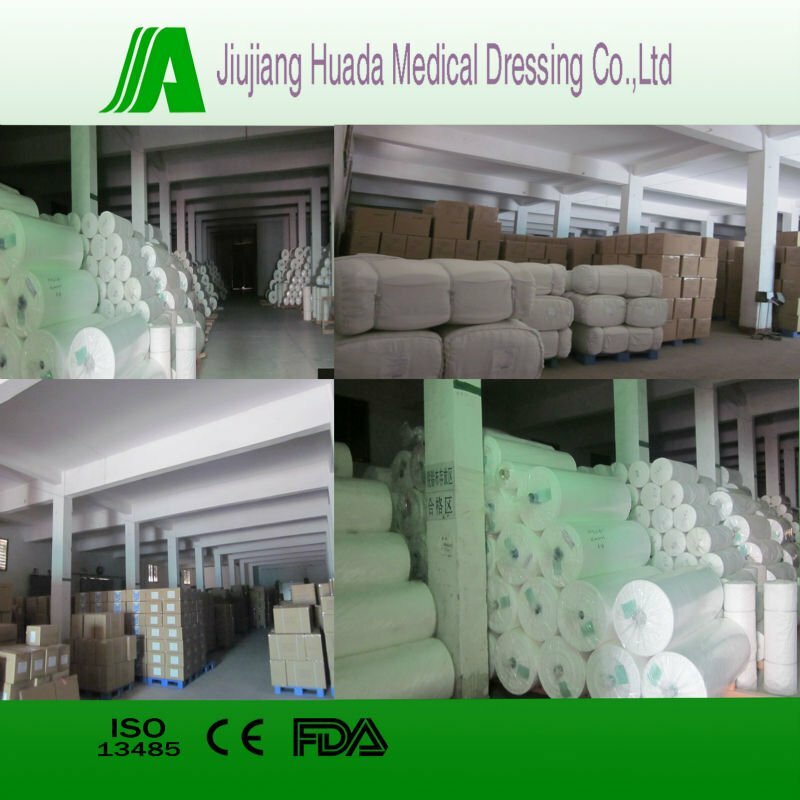 Our ability to provide an uninterrupted supply of product that meets your exact specifications is the result of years of experience and continuous learning. 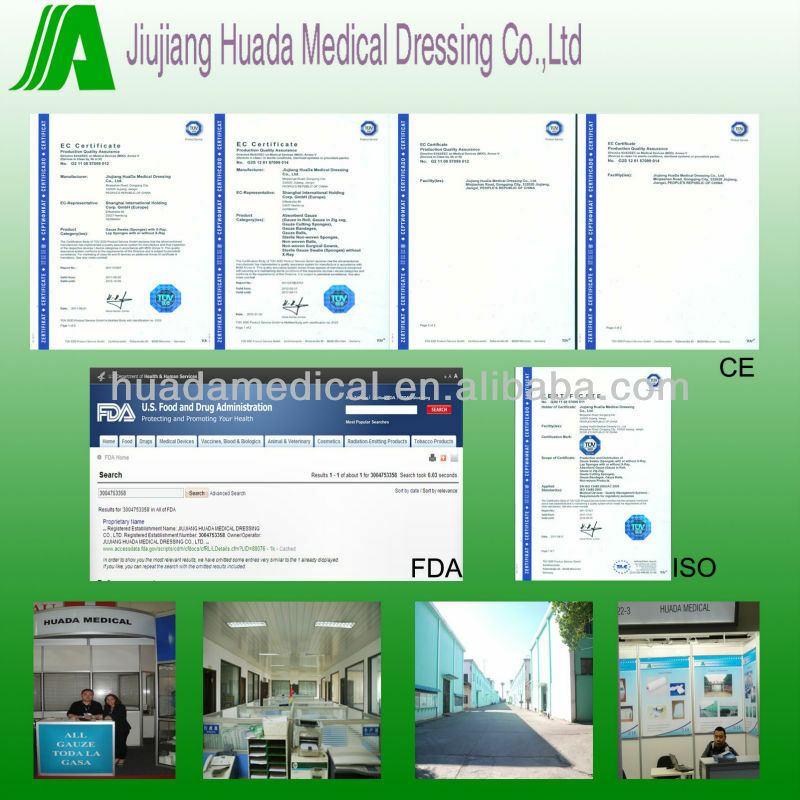 We’re able to provide necessary documents for your registration in your market. 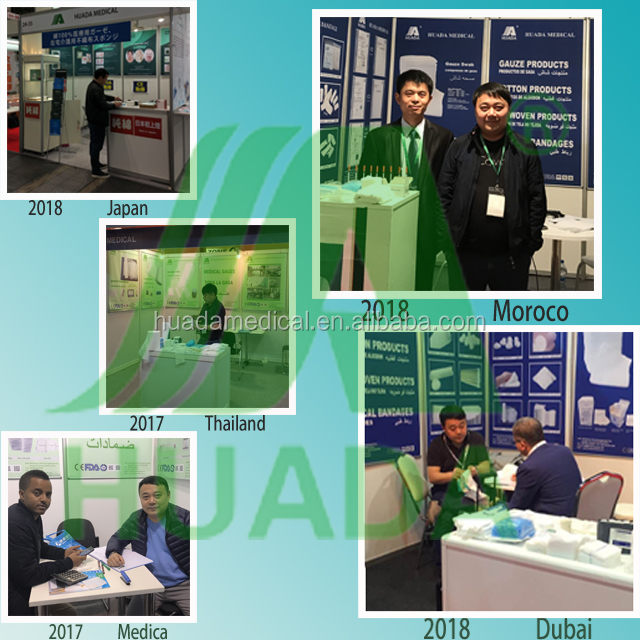 Strong professional relationships are the foundation for sustainable growth. 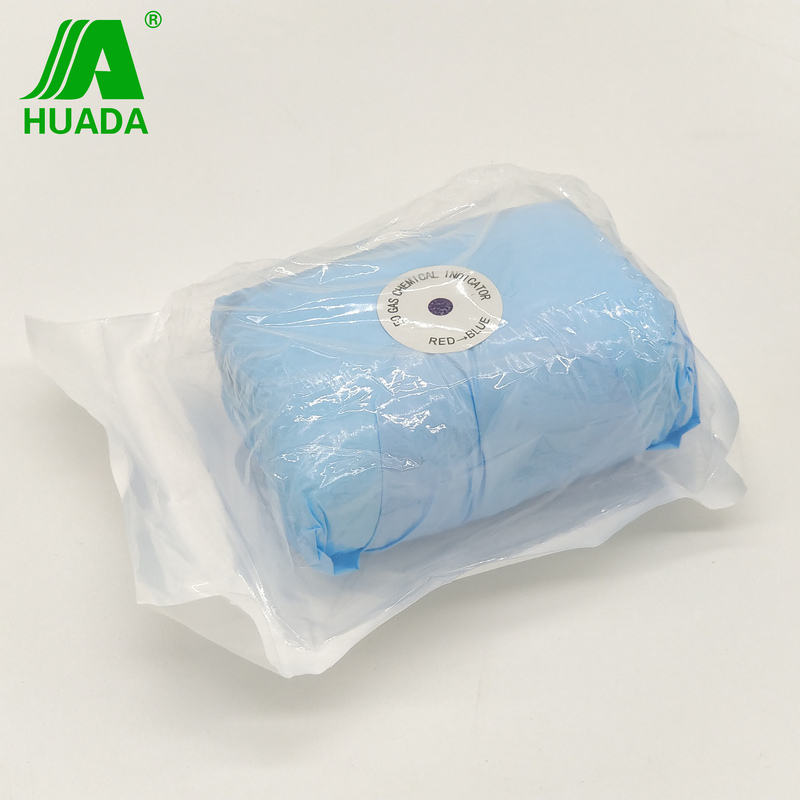 We strive to understand the challenges faced by our customers and suppliers, and act in a manner that promotes open dialogue and mutual respect. 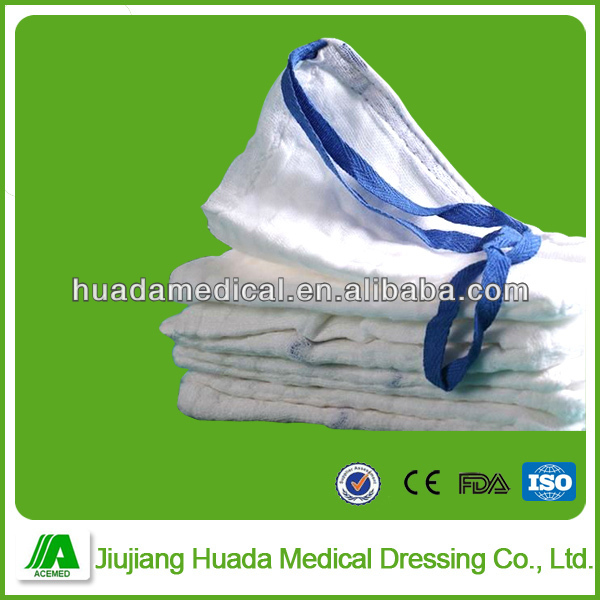 We are looking forward to building business relationship and contribution for human-being, with you together. 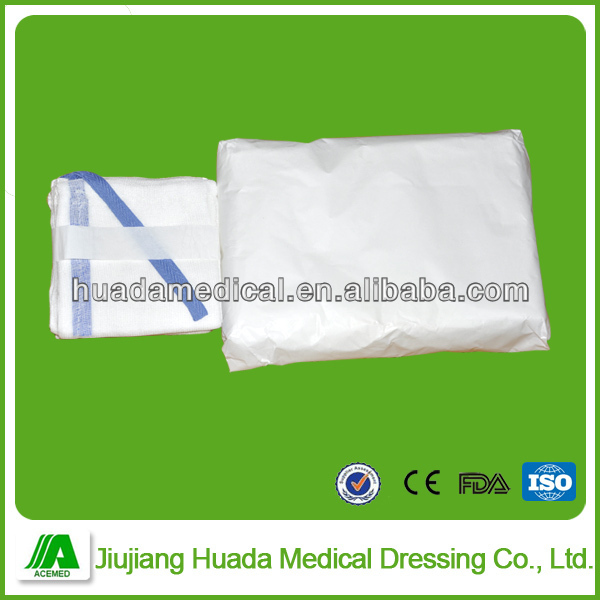 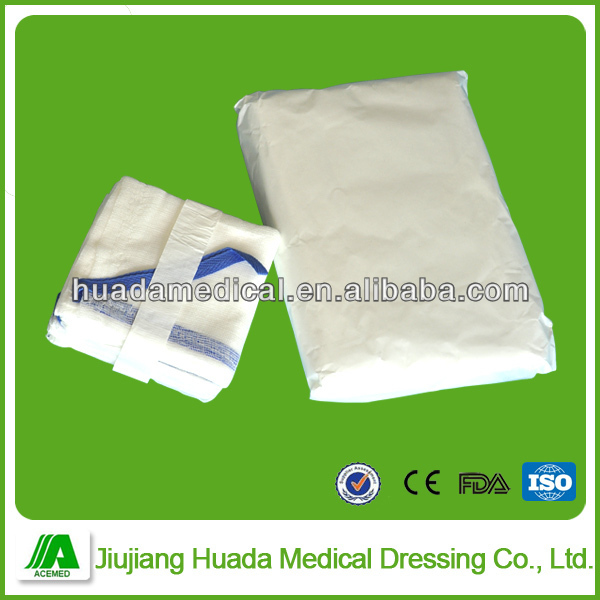 Jiujiang Huada Medical Dressing Co., Ltd.